Leave your towel, we’ll clean it for you! Leave your towel and we’ll clean it for you! We are currently running the special of ALL specials. We know it’s much easier to commit to working out if you have a friend! 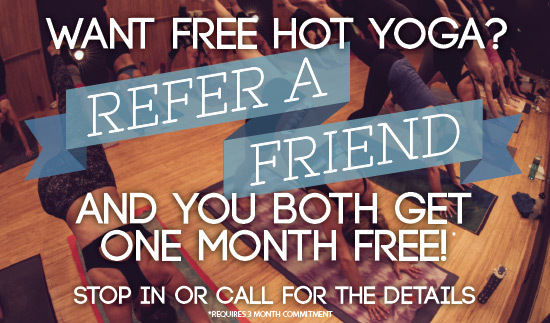 If you refer a friend you BOTH will get your first month free!!! That’s right absolutely free!! You can’t beat it. Call us or email us today with details. We are excited to see you and your buddy!! Looking to purchase a gift card for the Balance Hot Yoga Studio? You can purchase them online! Please check MindBody for the most up-to-date and special holiday class times or download and print our Class Schedule PDF! 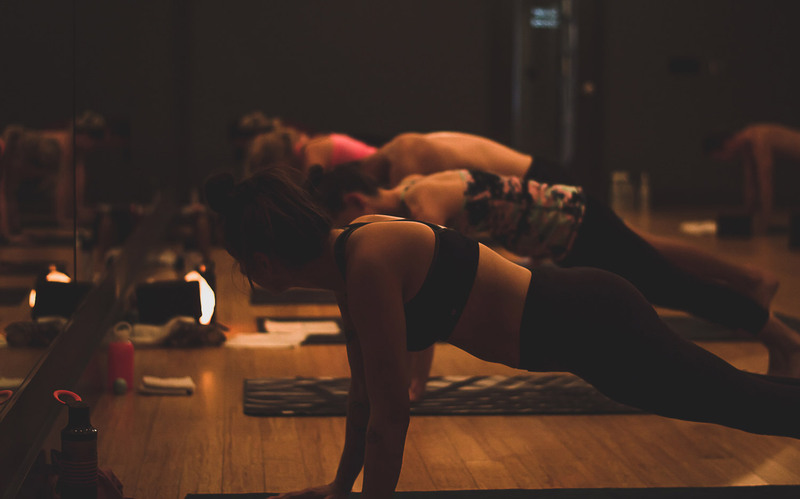 Balance’s mission is to guide each student, regardless of experience, through the physical and the spiritual journey of yoga. This studio’s name is meant to represent not only balance one experiences during the yoga session, but also the balance one can achieve in everyday life. We offer several classes daily, view our schedule and get registered!